Contemporay matcha brands are making the centuries-old matcha tradition cool again. Photo courtsey of House of Matcha. My obsession with matcha began last year when Kettl founder Zach Mangan gave Team Fathom a crash course on the delectable Japanese beverage. I've been seeing the bright green powder everywhere and in everything lately: fancy ice-cream, facial products, whole cafes dedicated to the drink. 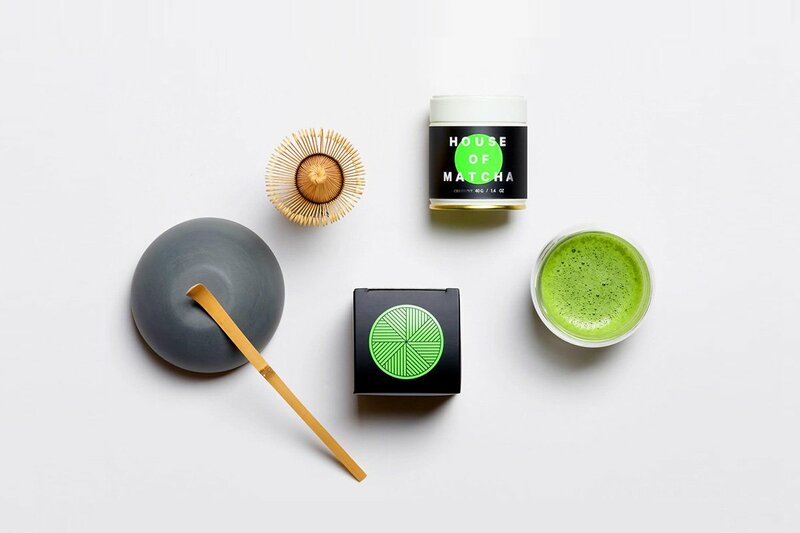 In proper Japanese style, these matcha goodies are well-designed and well presented. And I'm a huge sucker for packaging. Here's a working list of my favorite matcha things right now. Neon green cold brew tin. Photo Courtesy of House of Matcha. 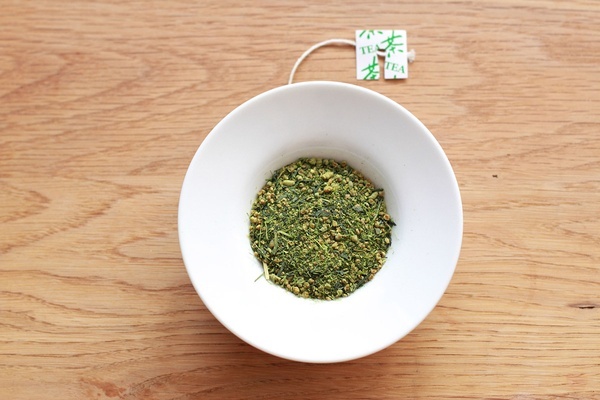 Genmaimatcha tea is matcha blended with roasted brown rice for a hearty savory tea. Photo courtesy of Kettl. These days, young creatives are keeping the centuries-old Japanese tea tradition alive by putting a contemporary spin on it. 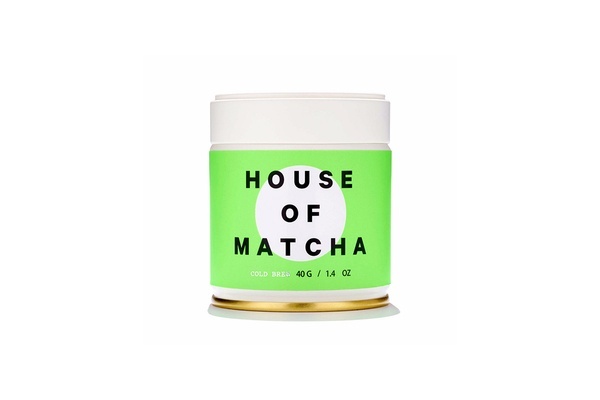 I love House of Matcha's neon green packaging, especially their Cold Brew Powder ($39), which is freeze-dried in the preparation process. Just add cold water and shake. Few people do this, but matcha powder can also be blended with other tea leaves — or in Kettl's case, roasted brown rice — to create lasting flavors. I also appreciate that they come in pre-packed tea bags ($15); very convenient for the restless millennial. On the more traditional end, In Pursuit of Tea's matcha producer has been producing tea since the Genroku period (1688–1704) in Ogura, Uji. The practice and business has been passed down and improved through generations, collecting many national prizes along the way. I love the versatility of the Unkaku thick grade tea ($48) — thick grade matcha allows for a variety of powder-to-water ratios while still maintaining its flavor. So whether it's a creamy, espresso-like cup or a lighter, clearer cup, the flavor won't get diluted. Chalait's portable matcha tin canister. Photo courtesy of Chalait. 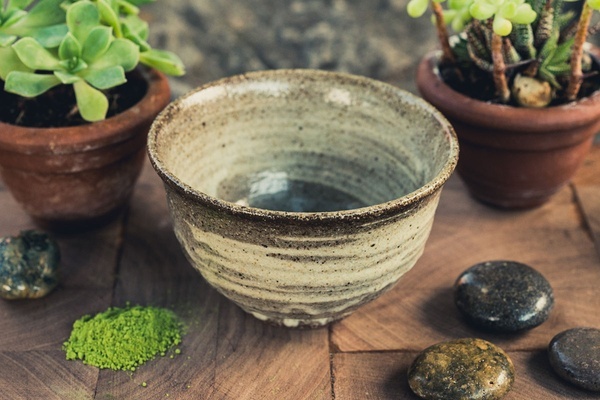 Look for a large round base and high walls in a matcha bowl. Photo courtesy of Mizuba. The health benefits of matcha are known: focus-enhancing, antioxidant-boosting, detoxifying, immune system-building, and so on. But the best benefit is in the ritual of preparing the tea — intentionally setting aside time and mental space to focus on sifting the powder, warming up the bowl, whisking the tea. It's calming and refreshing all at once, and as you begin the process, you'll start to understand why Zen monks prepare tea all the time (and always seem to live 100-plus years). Of course, the right tools make the process go more smoothly. 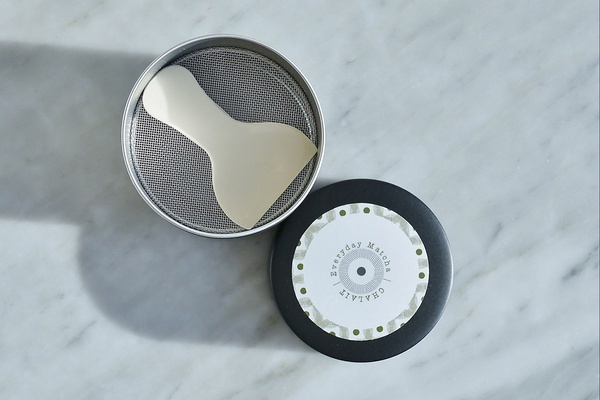 I enjoy Chalait's portable matcha tin canister ($24) which comes with its own sifter. I prefer a proper chashaku (spoon) for accuracy when scooping the powder out. House of Match's elegant chashaku ($9) is carved from a single piece of bamboo. When preparing a bowl to whisk the tea in, look for a large rounded base and high walls to prevent spills. I like Mizuba's glazed ceramic chawan bowl ($35) supplied from Japan's famous Shigaraki kiln. As for the chasen (whisk), Kettl's handmade 100-tine bamboo whisk ($25) is my go-to. A tip on whisk care: After washing and patting dry, place it face up to dry, and then store it on a whisk holder ($10) to help maintain its shape. You could just get a full starter set. This modern one ($69) from Panatea uses a double-wall glass bowl instead of the traditional ceramic. Find matcha in everything. Photo courtesy of Compartes (left), LEIF (right). I wasn't exaggerating about seeing matcha in everything. I confess I'm a bit of a snobby purist about my green teas and generally dislike anything "green tea-flavored." I haven't decided if my bias also applies to matcha, as there are quite a few products making a solid case for matcha-flavoring. Like when I heard about Moon Juice's matcha lemonade ($9) sweetened with coconut nectar, it was an immediate "why didn't I think of that?!" and "where can I get this now?" response. The award for best packaging in this roundup goes to the matcha green tea / white chocolate bar ($10) from Compartes. Then there are the beauty products. All kinds of herbal-focused beauty brands out there are encouraging people to put matcha on their faces and bodies. 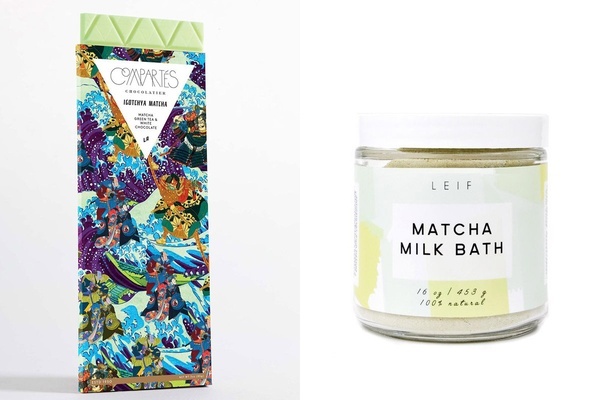 I'm dreaming of a long, soothing LEIF matcha milk bath ($40). Sayonara folks, I'm off to matcha heaven.